Dehler 46 relationship between cruising comfort and performance. The Dehler 46 offers a well-balanced ratio between cruising comfort and swift performance. Enjoy customizing your Dehler 46. These are just some of the highlights offered. 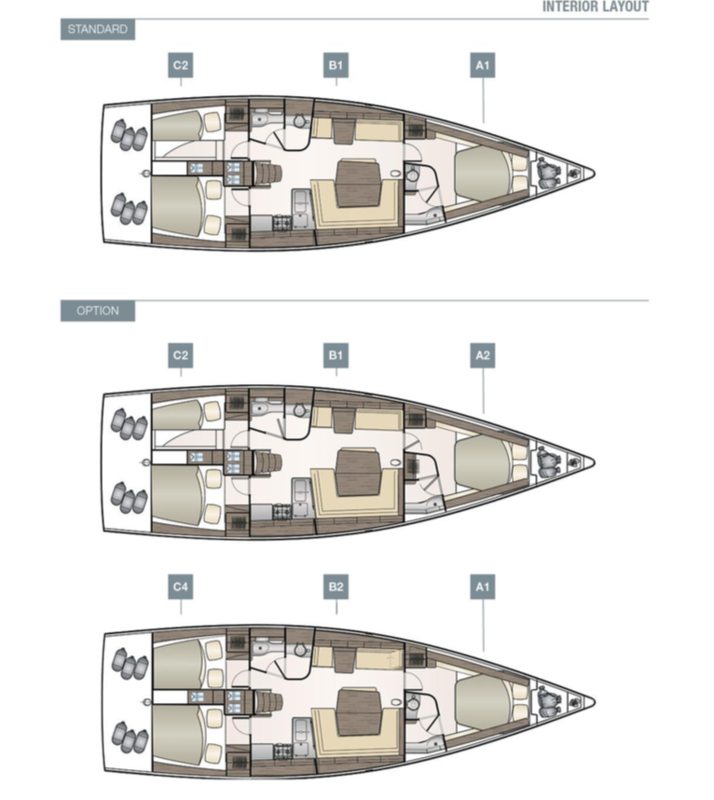 Innovative vacuum infused hull, optimized load distribution by Dehler Carbon Cage®, intelligent uni door ensuite bathroom solution, laminated sails. Following the new established design lines, the new window line identifies it as a Dehler even from a far distance. The true strength though lies in its versatility. See it as an upgrade from a perfectly equipped cruiser to an outstandingly fast competitor or vice versa. The Dehler 46 is the perfect platform to enjoy every sailing style to the fullest.